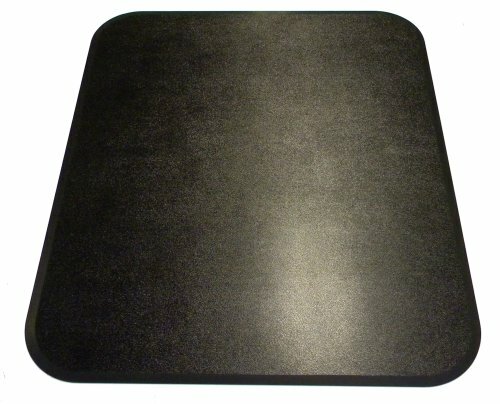 Black chair mat made of premium 1/4 Inch thick heavy-duty high impact resistant composite. Twice the thickness of most other brands, holds up to constant everyday use outlasting vinyl, polycarbonate, acrylic and PVC floor mats ten to one. Works on hard floors (wood, tile, etc), as well as all thickness of carpeted floors. Prevents floor damage such as indents, scuffs, marring, scratches and carpet wear.